Happy Thursday! – A giveaway! 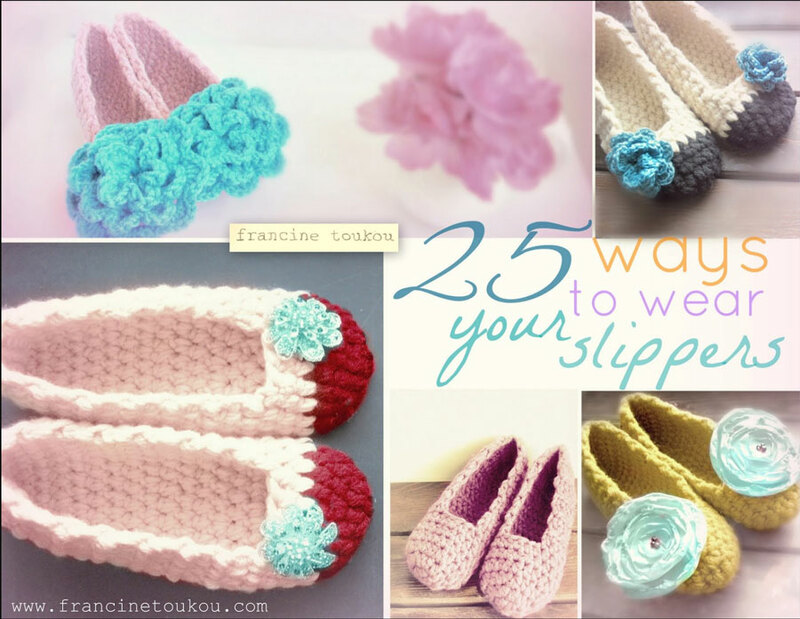 To get your complimentary copy of “25 Ways to Wear Your Slippers”, a crochet slipper lookbook, click the like button on our FB page, then e-mail us at francine@francinetoukou.com, and we’ll e-mail you a copy. If you’ve already liked us, just e-mail us a request for the lookbook and we’ll send it to you. Hope you’ll be inspired!